Canada’s national triathlon team is making Victoria its home base — and it’s expected to be a big economic boom for the region. “It’s a pretty exiting opportunity for us and we’re excited to see where it goes,” says City of Victoria parks and recreation director Thomas Soulliere. The sport was made famous by Olympian Simon Whitfield, who’s Canada most famous triathlete of all time, so it’s only fitting the national headquarters is moving it’s home base to the city Whitfield calls home. 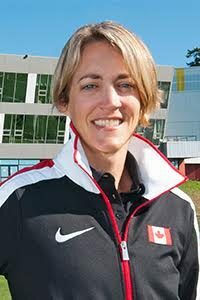 “We’ve built quite a hub in Victoria and it’s always felt like it’s the place that should be home for the whole organization so I’m really excited everyone else will be out here,” says coach Carolyn Murray of Triathlon Canada. The announcement is the result of the City of Victoria and SportHost teaming up to try and lure a national team to the B.C. Capital in an effort to put Victoria on the map as an international sporting destination. “I think more and more cities are looking at sport hosting as a real opportunity on the economic development front, certainly on the sport tourism side sport hosting is becoming a very popular activity,” Soulliere says. As part of the deal, Victoria will become an official sponsor of the team, providing office space for the team’s national headquarters at the Save-on-Foods Memorial Centre in lieu of a $70,000 sponsorship fee. And with many triathletes already based here, the team says relocating from Toronto was a no-brainer. The Capital Region’s already home to Rugy Canada and Olympic rowers and the Canadian National Mountain Biking Team recently moved to Bear Mountain, making Greater Victoria a mecca for elite athletes and the economic opportunities they bring. “We certainly expect this to spur some exciting partnerships and economic development here in the city as well as inspire young people and older people to participate,” says Soulliere. City officials say it’s too early to put a dollar value on the partnership but with other national teams also interested in Victoria, the benefits could be a big win for the city.